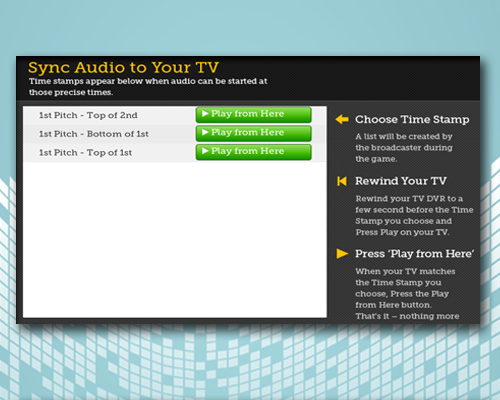 LetMeHearYa (LMHY) was born out of necessity – the need to find an alternative to listening to the broadcasters on TV. Who better to listen to broadcast games than Real Fans. Fans who are rooting for your team, who are funny, who are stats gurus, who are exactly what you want to listen to. 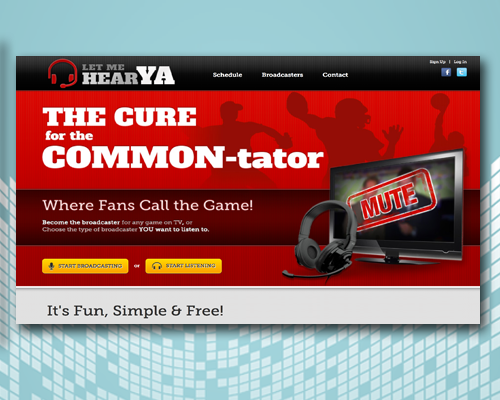 The LetMeHearYa platform allows anyone to broadcast their own commentary LIVE during any sports event on TV. This allows anyone to live out their dream of becoming a sports broadcaster and to do so from the comfort of their couch. 1. Web Admin - User creates new sporting events and searches to join existing sporting events. 2. Mic Tester App - User tests his own microphone setup with immediate playback. 3. 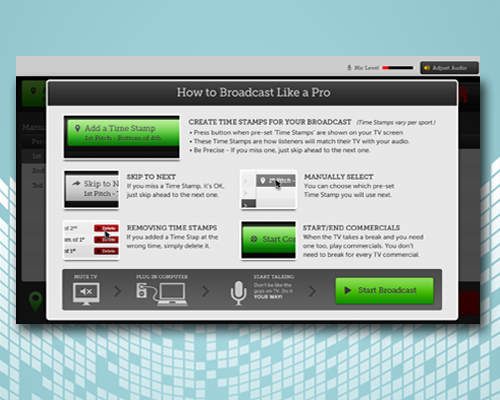 Broadcaster App - User records LIVE along with the televised sporting event and sets simple metadata. 4. 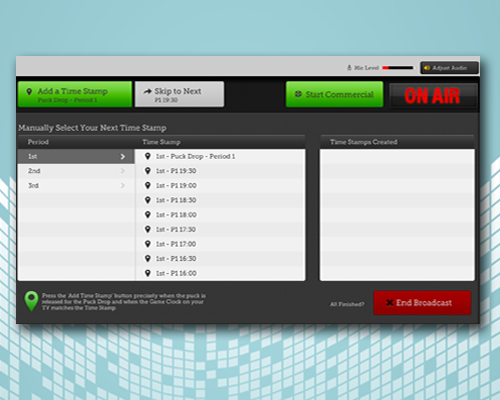 Listener App - User listens to LIVE streaming or prerecorded events SYNCHED with the televised sporting event. Role: I audited all existing product code base. I completed all aspects of the design and development for app #2. I added key features and addressed existing bugs on apps #3 & #4. This app is a demonstration of our focus on visually stunning yet approachable design for a mass audience.